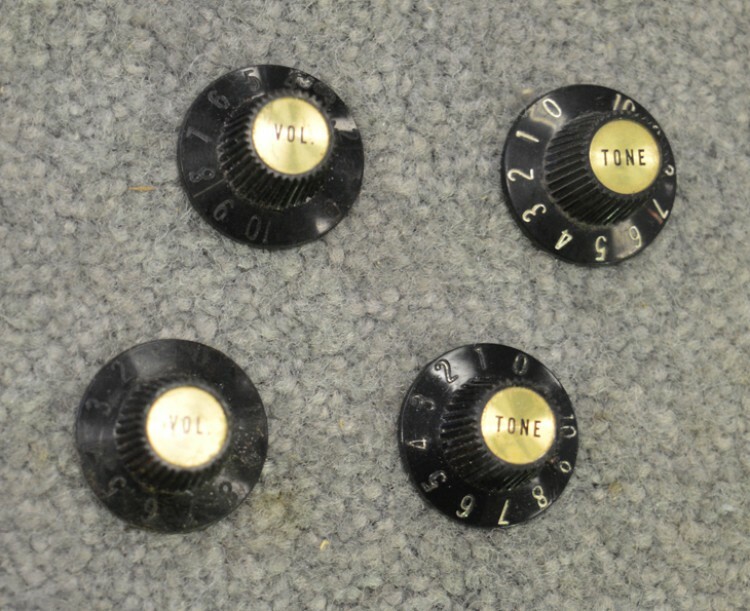 These original 1967-71 Witch Hat Knobs for a Les Paul Custom are in very good condition with gold caps in place; the volume knob numbers have faded but the tone knob numbers are still legible and the volume and tone script is clear and legible. There are also no visible signs of stripping in the spline cavities. This item is in used condition and may have mild wear, dings, dents, or scratches commensurate with its age and use. If you have any questions, please contact us prior to placing your order. 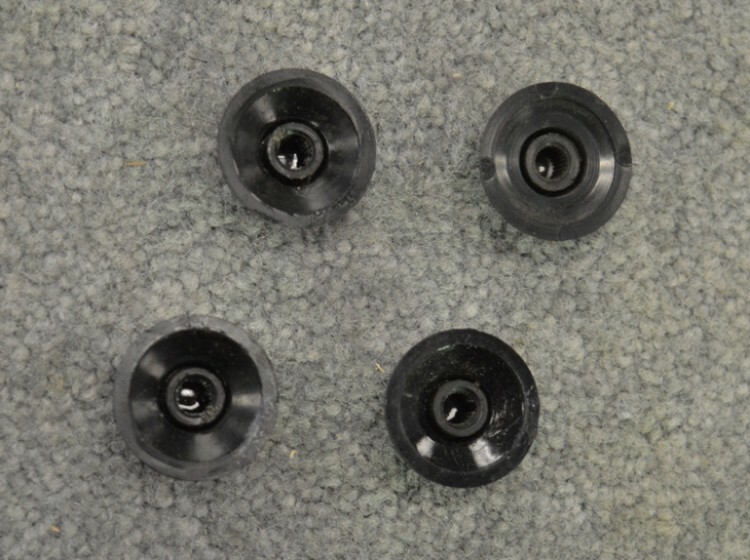 Interested In This Witch Hat Knobs for Les Paul Custom? Did you purchase the Witch Hat Knobs for Les Paul Custom? Feel free to submit a review. Reviews will be posted pending submission review and approval.